In Voices of the Mind, James Wertsch outlines an approach to mental functioning that stresses its inherent cultural, historical, and institutional context. A critical aspect of this approach is the cultural tools or “mediational means” that shape both social and individual processes. In considering how these mediational means—in particular, language—emerge in social history and the role they play in organizing the settings in which human beings are socialized, Wertsch achieves fresh insights into essential areas of human mental functioning that are typically unexplored or misunderstood. Although Wertsch’s discussion draws on the work of a variety of scholars in the social sciences and the humanities, the writings of two Soviet theorists, L. S. Vygotsky (1896–1934) and Mikhail Bakhtin (1895–1975), are of particular significance. 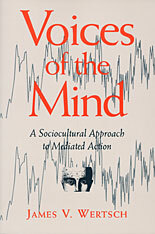 Voices of the Mind breaks new ground in reviewing and integrating some of their major theoretical ideas and in demonstrating how these ideas can be extended to address a series of contemporary issues in psychology and related fields. A case in point is Wertsch’s analysis of “voice,” which exemplifies the collaborative nature of his effort. Although some have viewed abstract linguistic entities, such as isolated words and sentences, as the mechanism shaping human thought, Wertsch turns to Bakhtin, who demonstrated the need to analyze speech in terms of how it “appropriates” the voices of others in concrete sociocultural settings. These appropriated voices may be those of specific speakers, such as one’s parents, or they may take the form of “social languages” characteristic of a category of speakers, such as an ethnic or national community. Speaking and thinking thus involve the inherent process of “ventriloquating” through the voices of other socioculturally situated speakers. 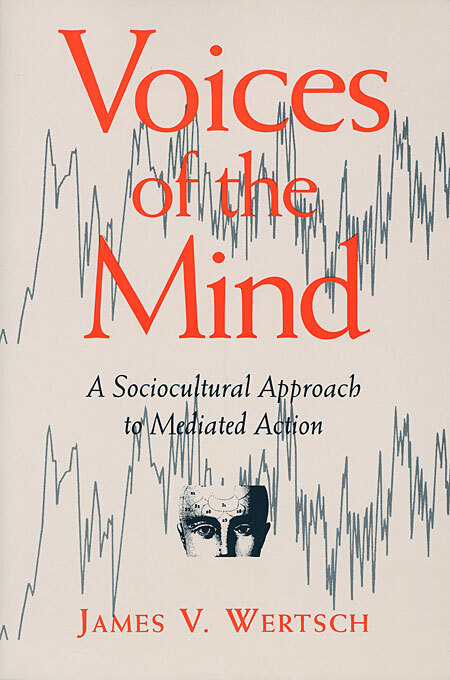 Voices of the Mind attempts to build upon this theoretical foundation, persuasively arguing for the essential bond between cognition and culture.